Gifts from Wicked Wicker, LLC: What's Your Oasis? There is a little Oasis in the desert that happens twice a year in Phoenix. 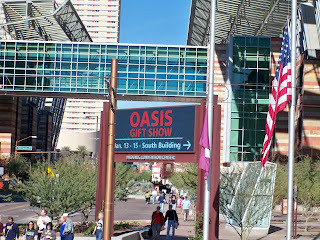 It is called Oasis Gift Show. 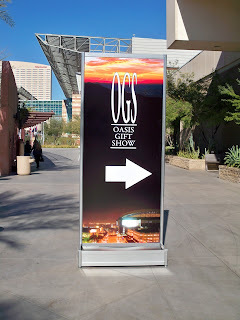 There are a ton of gift shows that are held ﻿throughout the country, but the Oasis Gift Show is almost in my backyard. It usually rolls into town in January and July and is here for 3 days. Sorry folks, this gift show is not open to the public. This is where I go to see all the new merchandise and meet with vendors to negotiate contracts. January has all the upcoming merchandise, while July usually has more holiday merchandise. 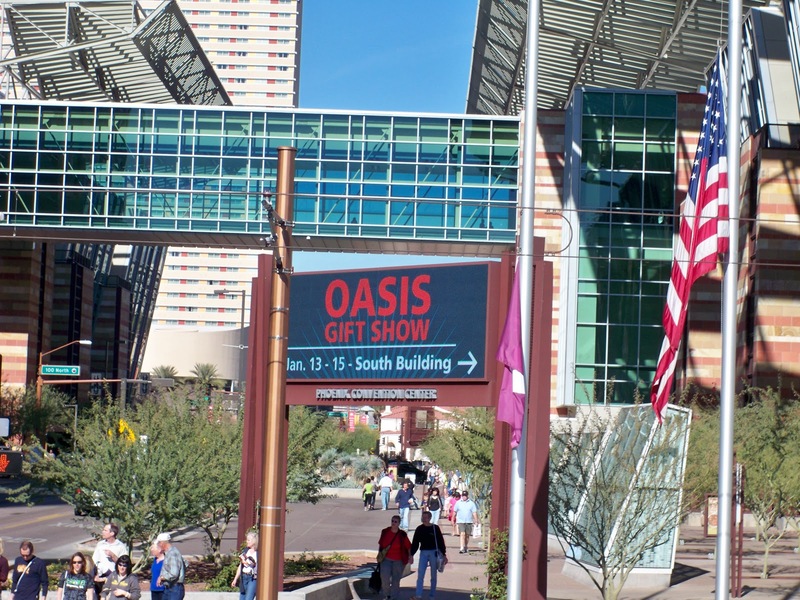 This year there were a lot more vendors than in the past couple of years and was more centrally located at the Phoenix Convention Center. In the past, it has been held at the Phoenix Cardinals Stadium in Glendale. I personally like the "Cash 'n Carry" section the best. There are no minimum requirements to buy (bonus!!) and there is usually different vendors than in the Artisans' and Seasonal Sections. 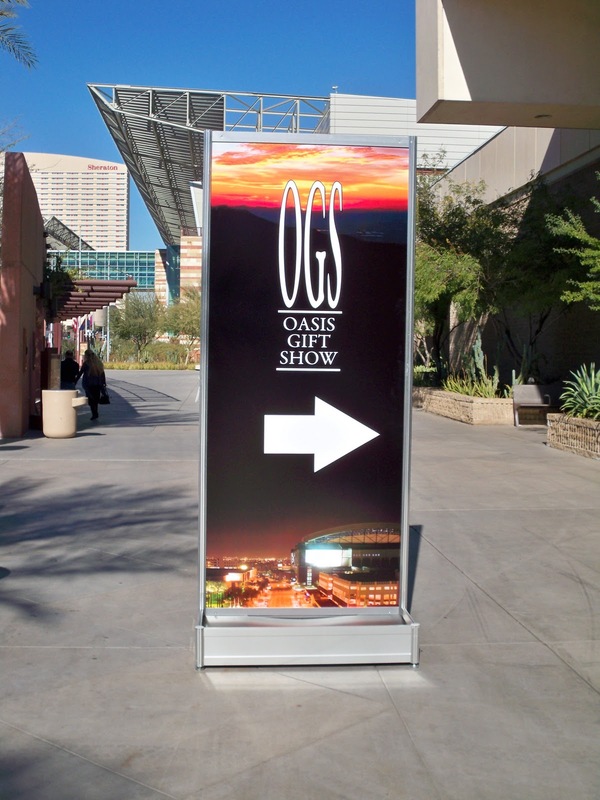 Overall, the gift shows are a great experience to meet vendors and build business relationships. I'm stopping by from stumble tumble tues and I stumbled this post. My oasis? Hmm, I don't live too far outside of Pittsburgh (go steelers! lol) and I've been able to review some tourist attractions and sites in Pittsburgh on my blog. I stumbled this great post from Stumble Tumble Tuesday!!! I'm your newest follower! I would love for you to stop by and say hello! Here is my Facebook link also!